Katakolon is the port for Olympia, the ancient birthplace of the Olympic Games. Katakalon is very small with only one main street. Olympia is approximately 20 miles to the east. You will be docked at a long pier right beside the town of Katakolon. Greece's currency is the Euro (EUR). In Europe, it is common to round up the bill to leave a small tip (5-10%). 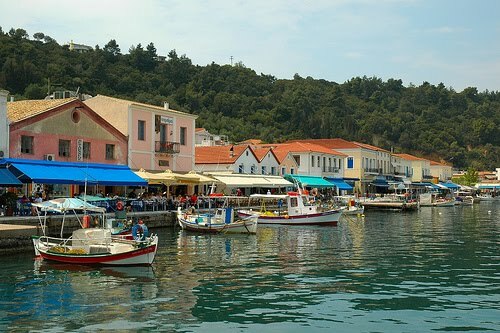 Along the harbour in Katakolon are restaurants, coffee shops and bars. There is a duty free store on the pier that sells inexpensive bottled water. There are two small grocery stores on the main street. There is a post office (Hellinic Post) on the main street in Katakolon. Most of the bars and coffee shops in Katakolon along the harbor offer free wifi for customers. There is a small beach to the left of the pier if you to just want to hang out.